I know that pretty much everyone with a blog writes a post of gift ideas this time of year. I've never done one of those posts before (at least that I can remember! ), so I thought it would be fun to compile a list of my favorite running items that I think would make great gifts for others. These are all just items that I found I truly love, and think others will as well! 1) A race registration. Perhaps the runner you're hoping to get a gift for has been running for as long as you can remember, and they have everything there is to have related to running. 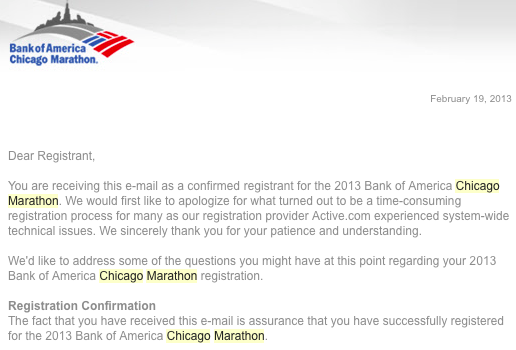 You can never go wrong with a race registration! I would make a handmade "coupon" to give them, saying that it's good for one race registration of his/her choice. Unless you know someone really well, I wouldn't recommend just choosing a race and registering that person without talking about it first, however. The cost of this varies enormously, so I'm not going to put a number on it. 2) A subscription to Runner's World magazine. When I first started running, this magazine was SO helpful. 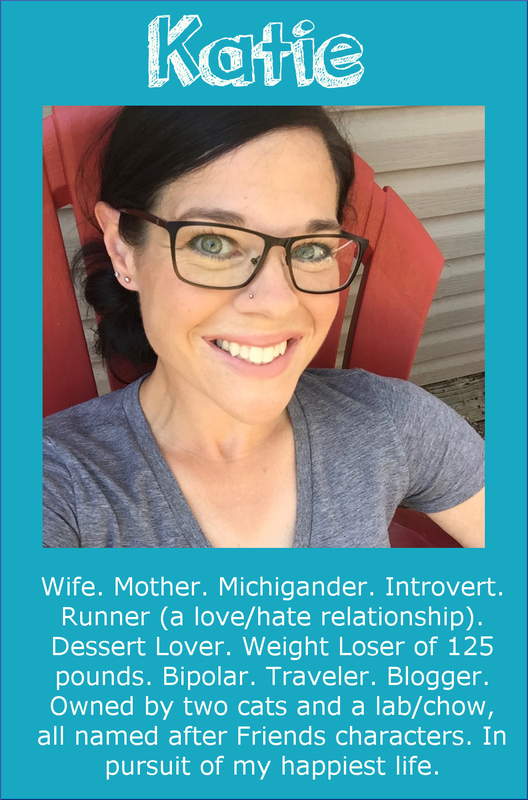 I learned all sorts of running terms that I'd never heard before, read inspiring stories that kept me motivated, and got lots of tips for training. I was a huge fan of this magazine long before I was featured in the April 2014 issue ;) DiscountMags has a sale today for $5/year. It's very rare to find it that cheap! The $5 sale usually only lasts a day or two. Through Runner's World or Amazon, it's $20 per year. I look this excited every single time I get RW in the mail! Just kidding. But I do immediately start reading it. 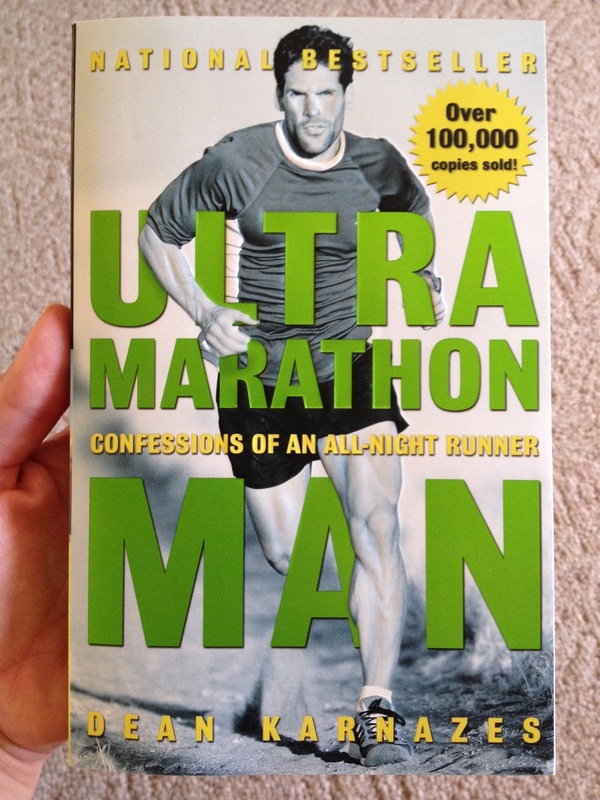 3) Ultramarathon Man: Confessions of an All-Night Runner book by Dean Karnazes. This book is a very entertaining read for any runner! I don't do ultramarathons, but I loved reading about Dean's races. My brother and sister read it and loved it as well. $9.34 for paperback on Amazon. 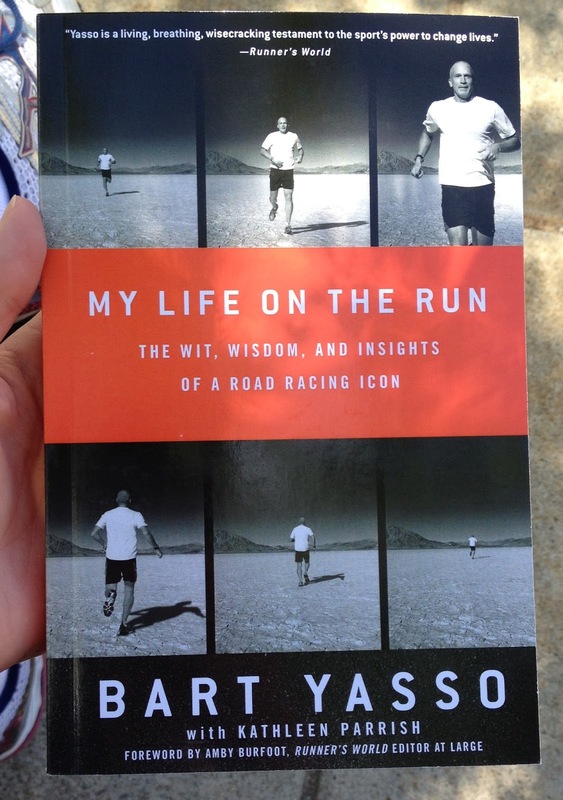 5) My Life on the Run: The Wit, Wisdom, and Insights of a Road Racing Icon book by Bart Yasso. I was very fortunate to have met Bart a couple of times at Runner's World events, and I was amazed at the running stories he has from years of experience. He's seen and done it all, it seems! His book shares some stories of notable races, and it's very entertaining. $12.96 for paperback on Amazon. 6) Yurbuds Inspire Sport Earphones I don't listen to music when I run, but I know lots of runners do. I've tried several earbuds, including some fancy schmancy blutooth ones, but the yurbuds are my favorite. I use them when I go for walks to listen to podcasts, or to hear movies when I'm traveling by plane. I wrote a more detailed review of them here. $18.92 on Amazon. 7) Hydraform Handheld Ergo-Lite water bottle by Amphipod. When I do short runs during the summer, and don't need nearly as much water as the Camelbak holds, I prefer to carry a handheld bottle. I bought this particular bottle from Amphipod, and I'm very happy with it. It holds 10.5 ounces (also available in 16 oz), which is great for a short run (or if you have places to refill). It fits very comfortable in my palm, it's not heavy, and there is even a little pocket that you can fit something small (a key or a Gu). $22.50 on Amazon. 9) Black Diamond Sprinter Headlamp. 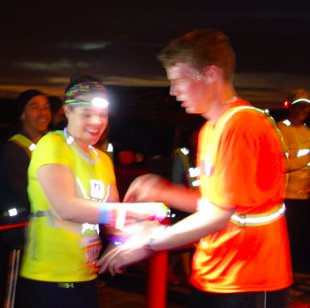 I hate running in the dark, but during the times when I do it (like during a Ragnar Relay), I adore this headlamp! It's pricey when compared to several others, but it's well worth it. It's ridiculously bright, rechargeable, and best of all--it doesn't bounce. When I ran Ragnar Florida Keys (through the Everglades, mind you! ), I had a headlamp that bounced terribly, wasn't very bright at all, and drove me crazy the entire time. As soon as I got home, I started researching headlamps, and ended up buying this Black Diamond one. I wore it for Ragnar SoCal, and I was in love. $55.70 on Amazon. Thomas is wincing because he's blinded by the brightness of my headlamp. Or maybe because he just ran 6 miles at 5:00 a.m.
10) CamelBak Marathoner Hydration Vest. I received one of these for review, and I fully expected that I wasn't going to like it. I thought it would be heavy, hot, and cause chafing. 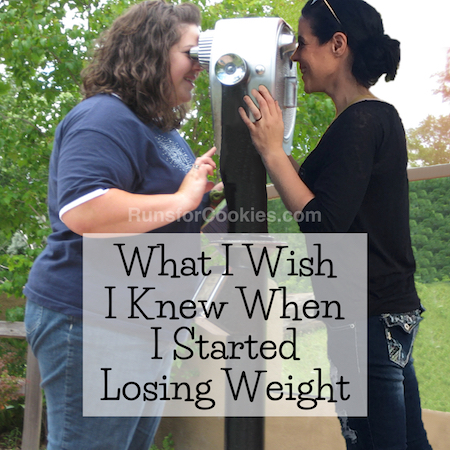 I was blown away at how much I loved it! I prefer this to a hydration belt any day. 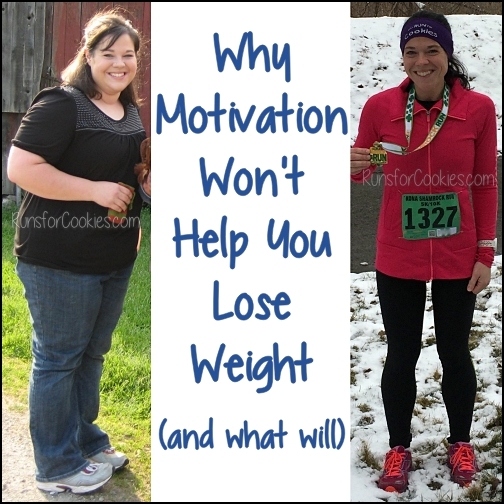 I wore a belt when training for my first marathon, and it hurt my back after a while. But I trained for Chicago with this CamelBak, and I was very happy with it. Here is a link to my (more detailed) review. $100 on CamelBak's site (which was cheaper than Amazon--the link above will take you to the CamelBak site). 11) Hire someone to turn the runner's race shirts into a quilt. This is something you would either have to ask about beforehand, or give a "coupon" for, because you could risk making some really angry if you cut up his/her shirts! It's also very expensive because of the labor involved, but it's such a special gift. I cut up my shirts and made a quilt top out of them. My sister-in-law and her mom did the quilting for me, and I should have it back next week! A lot of runners have more race shirts than they know what to do with, and putting them into a quilt is an awesome way to preserve those memories. Sarah, a reader of mine, takes orders for handmade quilts. 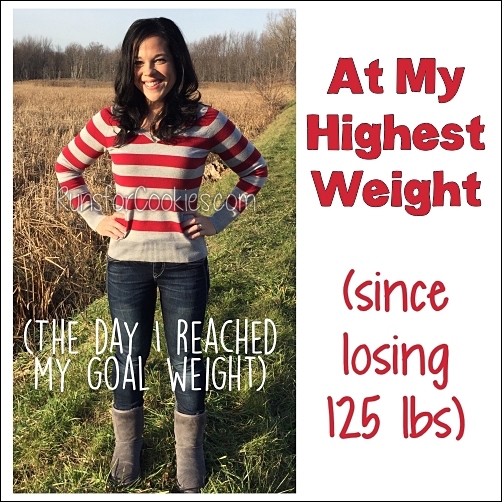 You can check out her blog and pricing here. Upwards of $200 + supplies. This is my quilt top. Sarah's work looks much better! 12) GARMIN Forerunner 220. I saved my very favorite gadget for last. Very basically, a Garmin Forerunner is a GPS watch that gives you "real time" data of your distance, time, pace, etc. While I have the FR 620 model, I actually wouldn't recommend that one. The FR 220 is nearly identical, and it's a couple hundred dollars cheaper! If I were to go back in time, I would have bought the 220 instead. The 620 gives a few extra pieces of information that the 220 does not; but the extra information is stuff that I found to be pretty useless (how many milliseconds your foot touches the ground when running; how high your body bounces; how long you "should" spend recovering before running again). Without the heart rate monitor, it's $239.99. With the heart rate monitor, it's $286.22 on Amazon. I love using my heart rate monitor, and would recommend spending the extra $50-ish to get that option. Hopefully this gives you some ideas! If there are any products that YOU love, feel free to share them in the comments. These are awesome! The quilt is a great idea! 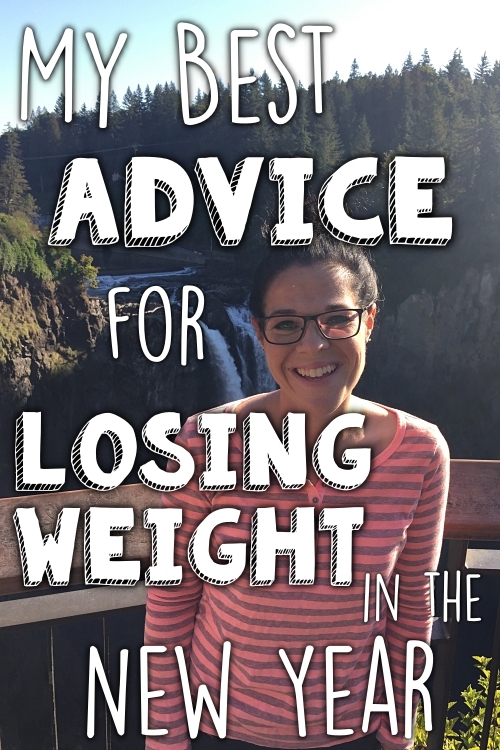 Thank you for the Runner's World tip! I am trying to cut purchases from my budget, so I am glad to get such a good deal! I've subscribed to Runner's World magazine this past year and have loved every edition! I recently compiled all of my race shirts and have considered having a race quilt made. I'll have to look into it more! I have the Garmin Forerunner 10 and love it, although I would like a watch that has HRM capabilities. Katie, these are great ideas! I'd be more than happy as the recipient of any of these. 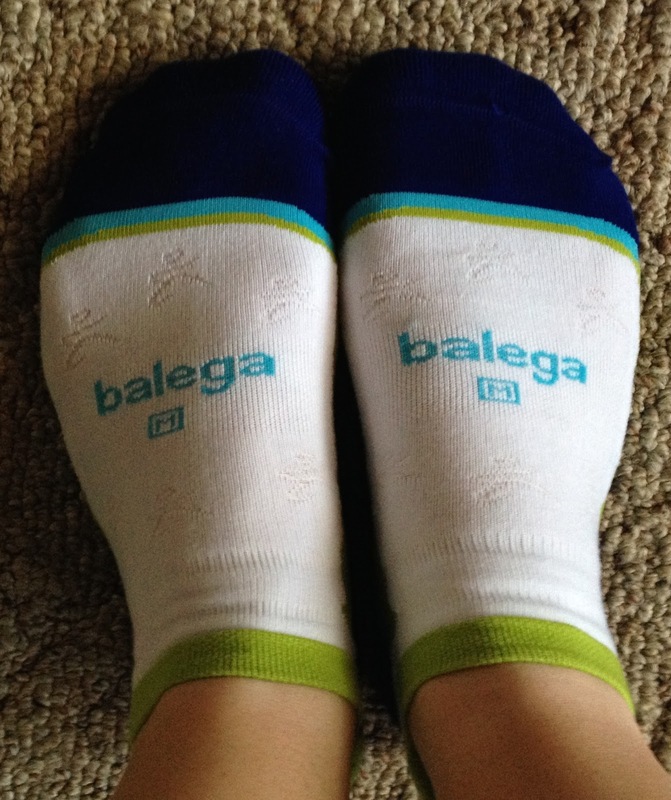 Might I also add that my favorite socks are Feetures and several sport/running stores have "buy 2 get 1 free" sales. I also wouldn't say no to a gift certificate for a sports massage or gift card to get some new running shoes. Feetures are the greatest socks ever! I have several pairs and love them. I second the idea of a gift card to buy new running shoes! Thanks for the tip on Runner's World! Crossing it off my Christmas list to make room for something else! Great list! How do you clean out the camelback? I am assuming that you only put water in the reservoir? I've only put water in mine, but I'm sure you can put Gatorade or other liquids in it--you'd just have to be very thorough in cleaning it afterward. To clean it, I put some baking soda and hot water in it, and shake it up, then rinse it out really well. I use paper towels to dry it as much as I can, and then let it air out until it's completely dry. Cleaning it isn't fun, but considering I only use it once per week during distance training, it's not too bad. Katie: Thanks so much for the ShirtTales by Sarah mention! Making t-shirt quilts is my passion! These are all great ideas! My one addition - Meb's book "Run to Overcome." I read it this month and loved it. It was revised this year after he won Boston. Ice Joggers or Yaktrax (I prefer Ice Joggers). 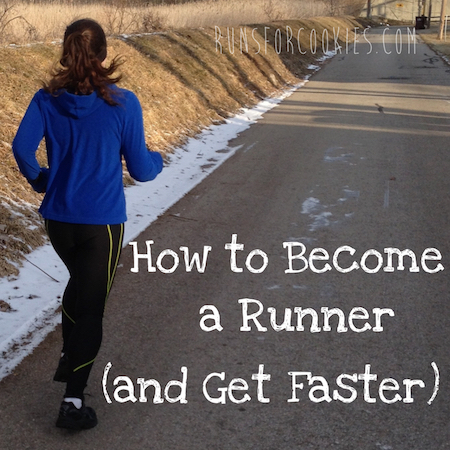 Super practical and really helpful for running in the winter. Loved your recommendation last year for the Under Armor Cold Gear tights - wore those almost every run last winter. I would not be disappointed to find those under the tree. Do you know of less expensive running watches? At $240…the garmin is too $$ for me. Also - suggestions on cold weather clothing? Thanks!